Create picture-perfect memories on this captivating island. 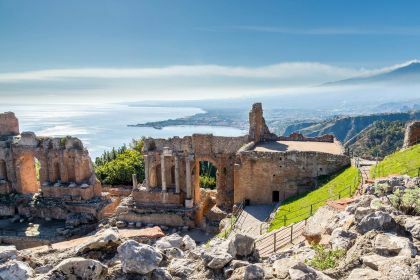 With active volcanos, towering mountains and vast beaches rimmed by the Mediterranean, Sicily is sure to impress even the most seasoned travellers. Explore the nooks and crannies of Sicily and then sail over to nearby Lipari and the rest of the Aeolian Islands. Get in touch with your Abberley charter broker by phone or email. We’ll arrange everything, so you can sit back and enjoy a perfect luxury yachting vacation in Sicily. 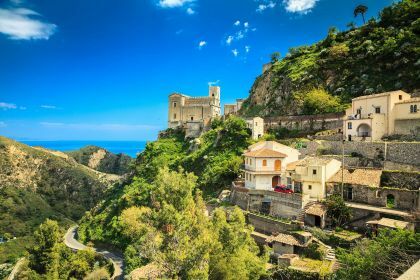 When planning the itinerary for your next island-hopping vacation, a highly recommended option is the Mediterranean’s largest island: Sicily. The southern allure of Sicily is guaranteed to appeal to all of your senses. Sound: You will hear the soft murmur of lapping water when the weather is calm. Or the loud crash of waves against rocks when the sirocco sets in. You will listen to the rustle of lemon tree leaves, the hubbub of Palermo’s streets and nightclubs. Sicily’s sounds are calming, relaxing, stirring, invigorating... They are everything you may be looking for. Taste: Think of Sesto Canto in Palermo. This famed venue is famous for its mouthwatering Sicilian meat dishes and delectable desserts. Or how about Oxidiana in Catania, serving Japanese and Asian cuisine made with just-caught Mediterranean prawns, calamari, swordfish and octopus. In Syracuse you’ll be charmed by Regina Lucia, with its appetising Italian food and fine wines. Touch: Imagine soft beach sand, cobbled streets under your feet, wind and water against your skin as you go kite-surfing in Lo Stagnone – Marsala or the Straight of Messina (the narrow passage between the eastern tip of Sicily and the western tip of Calabria), a freshly pressed napkin in an upmarket seaside restaurant, or the sensation on your body as you plunge into the warm Mediterranean waters. Smell: Breathe in the tangy scent of a lemon tree, the intoxicating salty smell of the ocean, and a whiff of a designer scent in a top fragrance store. You will love the tiny nuances of smell that waft in the Sicilian air. Sight: Sicily provides a never-ending feast for your eyes. There are not many places in the world where you can ascend an active volcano, either by cable car or on foot, and look wistfully over the sea, island and volcanic crater. Tick Mount Etna off your to-do list — it’s worth it. Messina and Catania are the best starting points for a visit to this famous volcano on Sicily’s east coast. 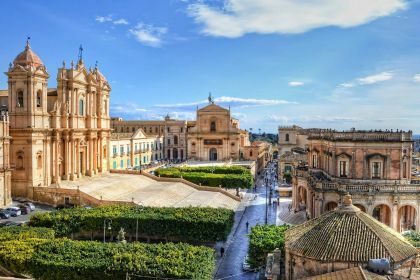 And the views go on: Crystal-clear blue water, ancient monasteries and temples, well-heeled tourists, stylish restaurants with oodles of Italian glamour, lush vegetation, citrus orchards… If any island is worthy to be called a paradise on earth, it is certainly Sicily. We’ve celebrated the five senses in Sicily, but what about the sixth? Intuition: Does your intuition tell you that Sicily is a fascinating destination for your next yachting vacation? If the answer is yes, there’s no shortage of enticing destinations. 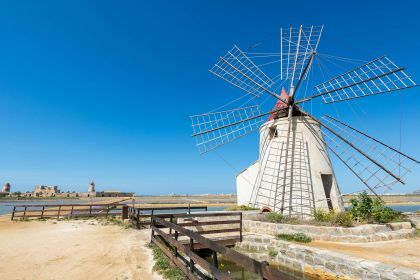 Palermo, Syracuse, Catania, Taormina, Messina and Cefalu should all feature on your Sicilian sailing or motor-boating itinerary.